We love to watch dog movies together. 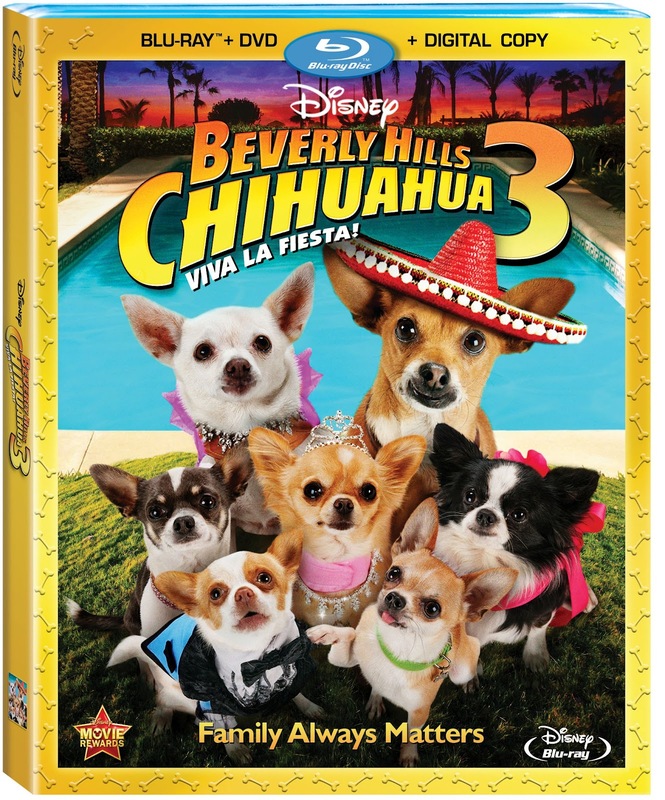 This week we had a blast watching Beverly Hills Chihuahua 3. We made cheese quesadillas and cinnamon and sugar quesadilla for our movie treat. My son loved the music in this movie too. My boy loves to dance! 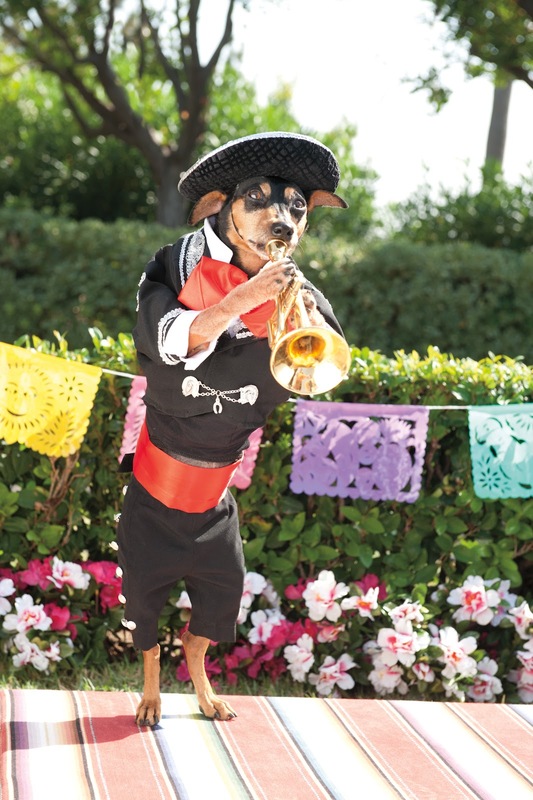 He was tummy rumbling giggling when he saw the 3 Mariachis dogs singing and playing musical instruments. Its a cute movie about kids growing up and needing space but always still needing their family. Walt Disney Studios proudly unleashes Hollywood’s renowned pack of celebrity Chihuahua stars in the hilarious all-new movie “Beverly Hills Chihuahua 3,” releasing on Blu-ray™ Combo Pack, DVD and Digital on September 18, 2012. High Definition and Standard Definition Digital = Consumers should check with their preferred digital retailer for pricing and additional information. *Limited to US residents 18 years old and above. Giveaway starts Sept. 14 2012 and ends on Oct. 1, 2012 at midnight EST. Winner will be emailed and has 72 hours to respond before another winner is selected. I was not paid for this giveaway or post. The opinions on this item are 100% mine and may vary from others. The sponsor is responsible for providing the prize. I received a free copy of this movie for my review. My son loved part 1 and 2 he would love to watch part three. I think he has watched the other ones at least 50 times. I know he would love part 3. I would love to watch this with my niece and nephew! I would watch with my niece --- she's crazy about all dogs. I would watch with my grandsons. My daughter is the one who loves these movies. My son might not admit to liking them, but he wouldn't leave the room when they are playing. I would watch with my husband and my kid's. Thanks so much for the fantastic giveaway! With my son YAY movie night !! i would watch it with my hubby and my neice jenn.. I would watch it with my youngest daughter- she loved the other 2 movies. I would watch it with my nieces and nephews. I'd watch this with my niece and nephew.. they would love it! I would watch it with my son and younger daughter. I would watch it with my two girls. I would watch it with my two little nieces. My 4 kids all want to see this movie esp. since we have a chihuahua.